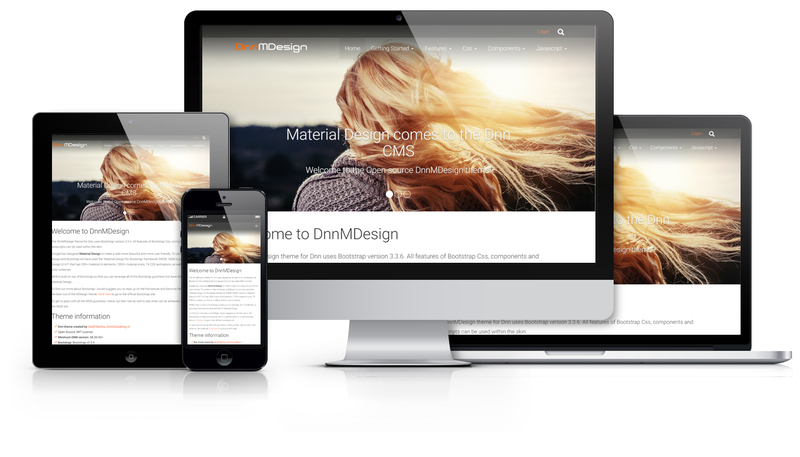 Welcome to the Open source DnnMDesign theme! 300+ material UI elements, 1000+ material icons, 74 CSS animations, helpers, and much more. To find out more about Bootstrap I would suggest you to read up on the framework and become familiar with it to get the best out of the MDesign theme. 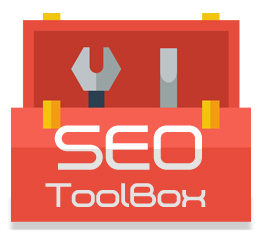 Click here to go to the official Bootstrap site. To get to grips with all the MDB goodness, check out their site as well to see what can be achieved. Click here to go to the MDB site. done_all Containers: 23, 1 of which are a social container for formatting social buttons in the socialpane of the skin. Simple styling that can be adapted to your own style. done_all Dnn Controlbar: The controlbar of Dnn has been made more mobile friendly by altering the Css. This was taken from a blog post by David Poindexter, blog post found here. DnnConsulting and Satrabel have worked together to create 4 templates for you to use with the DnnMDesign Theme making it easy for you to have functionality that matches the MDesign theme. To see examples of the 4 Open Content templates, click here.